MG Midget Pedal box fitting kit Later cars - stainless steel. Suits all models from G-AN 4, H-AN 9 on. 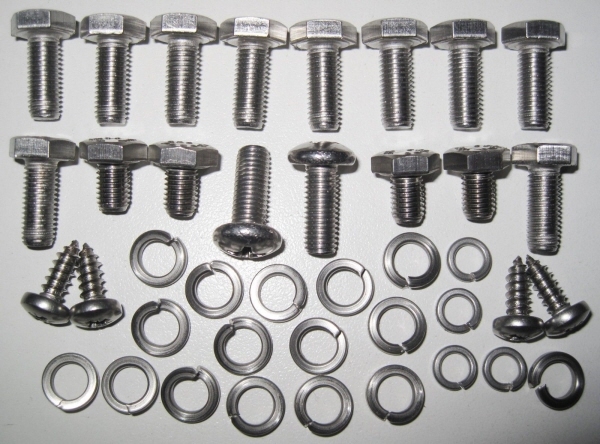 The Midget Pedal Box Kit contains all the threaded fasteners and washers needed to fit the Pedal box, Pedal box cover and Blanking Plate (passenger side). Being in A2 Stainless steel this kit will enhance your engine bay and look as good in years to come as when fitted.